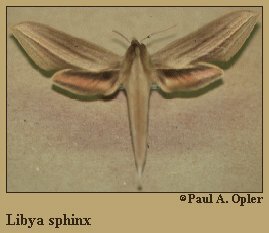 Identification: Forewing upperside is olive brown with darker shading and dark longitudinal lines. Hindwing upperside is dark olive brown with an orange-yellow postmarginal band. Underside of is dull orange-yellow with dark shading and spots; forewing has a tan patch along the outer margin. Wing Span: 2 11/16 - 2 15/16 inches (6.8 - 7.4 cm). Flight: . October in South Texas. Range: Amazonas and the Guianas north through Mexico to South Texas.